My dad died at age 68 from kidney failure, he was on dialysis for 8 years. I wanted to give him my extra kidney. Daddy and I were alike in so many way. But, he would not hear of it. I talked to his doctor anyway. He told me they didn’t do transplants on anyone as old as my dad. That was in 1990, and 68 doesn’t seem old to me at all now. There is nothing morally wrong with being a live donor, it is an act of sacrifice because you love someone. However, the selling a kidney or other organs is wrong. Even worse is it is going on every country. They are sold on the black market and it is called organ trafficking. Havoscope is an international web site that collects data on all black market activity around the globe. By collecting and analyzing hundreds of pieces of data every day, they provide only the highest quality of information to global users. Filipinos selling their kidneys on the black market can receive between $2,000 to $10,000. In addition, organ traffickers who find kidney donors are paid a finder’s fee between $1,000 to $1,500 per transplant. 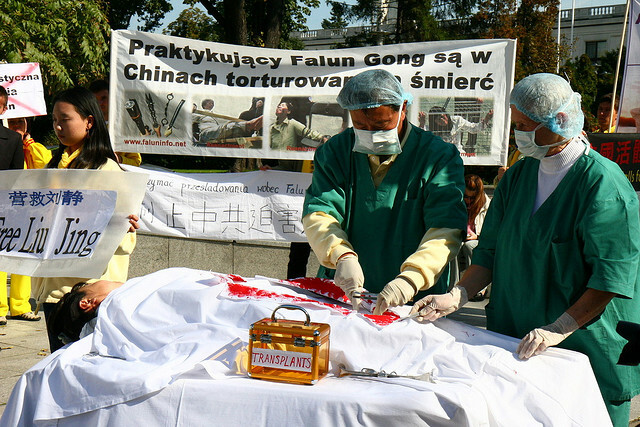 An article by USA Today reported that buyers in China are able to buy organs on the black market in China at prices between $32,000 to $62,000. According to news reports, the price of a kidney sold on the black market in India is around $1,000. In India, the prison term for illegally selling a kidney is five years in prison. In Romania and Moldova, the price to buy a black market kidney is $2,700. In Turkey, the price of the kidney goes up to $10,000. In a news report by the New York Times, a man in Greece was quoted as attempting to sell his kidney for $123,000. Across Europe, the article stated that many individuals were posting advertisements to sell their organs. They would sell their lungs for $312,650. Law enforcement reports from around the world, organ traffickers generally sell a kidney bought on the black market for 15 times to the recipient. Most organ traffickers buy a kidney for $10,000 and sell it to the patient who is receiving the organ for $150,000. According to a report by CNN, Bedouin human smugglers drug their victims and cut out their organs for sale to doctors in Egypt. The doctors and hospitals pay up to $20,000 for the trafficked organs. Lawyers who broke up an organ trafficking ring, said people from Israel were paid $20,000 for their kidneys by illegal brokers in South Africa. People from Brazil and Romania were paid $6,000 for per kidney. In 2009, Anderson Cooper investigated story called “Secret Harvest”, the illegal trade in body parts. It featured Nick Rosen who answered an ad in Israel and flew over and donated a kidney at Mount Sinai Medical Center. He received $20,000.00. In July of that same year the FBI arrested a Itzhak-Levy-Rosenbaum. He had been brokering organs for over a decade. He would buy kidney’s from vulnerable people in Israel for $10,000, then turn around and sell them for $160,000. Nancy Scheper-Hughes, UC Berkley professor of Medical Anthropology has been working on exposing Organ Trafficking for years. She said she had warned the FBI of Rosenbaum 7 years before his arrest. Human Organ Trafficking is illegal in every nation but Iran. It is immoral, and those who chose to do it, and the evidence shows that is typically poor people selling their organs for money. They don’t have a clue really what they are doing. Wealthy people buy the organs, as you can see from the list above. Doctors, nurses, broker’s, hospital’s everyone but the actual donor. If you have been following me here, you know I am against the lie of brain death and the public not being informed that they are alive when their organs are harvested. Tales from the Organ Trade is a film which takes a chilling look at the characters in the international black market in organs. It is winning many awards. The video below is a small excerpt from the documentary. One person in the documentary is a Turkish surgeon, Dr Yousef Sonmez, who has done thousands of transplants. He was wanted by Interpol for involvement in a racket in Kosovo. Finally arrested in 2011, on suspicion of heading a Kosovo-based organ-smuggling gang that illegally snatched kidneys and sold them to wealthy customers around the world. Doesn’t this make you sick? How Are You, Missy Caulk? Freaks me out ,words fail me completely,people making money from the poor like this and murdering them to get what they want,the work of the devil.